As the rapidly-changing retail industry challenges even the biggest brands, many are finding a path to survival through personalization. This week, we’re looking at the personalization-focused growth strategies of Macy’s and Starbucks. We’ll also review a new report from National Retail Federation, which highlights the growth of multichannel retail. While the rewards program is a great incentive for those who use it, only 15 million of Starbucks’ 75 million monthly customers are members. About 1 to 2 million of those non-members convert every year, leaving a lot of potential growth on the table. To reach those other 60 million customers, Starbucks recently expanded mobile ordering to non-members. 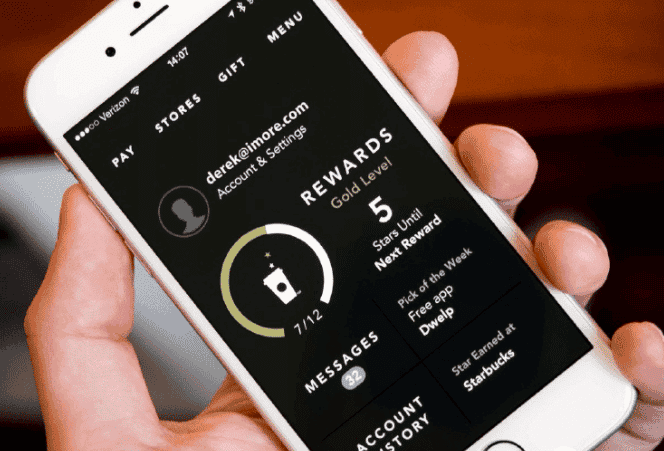 This shift will increase the footprint of digital relationships so Starbucks can use personalization to boost non-member loyalty, hopefully getting it on par with member spending. 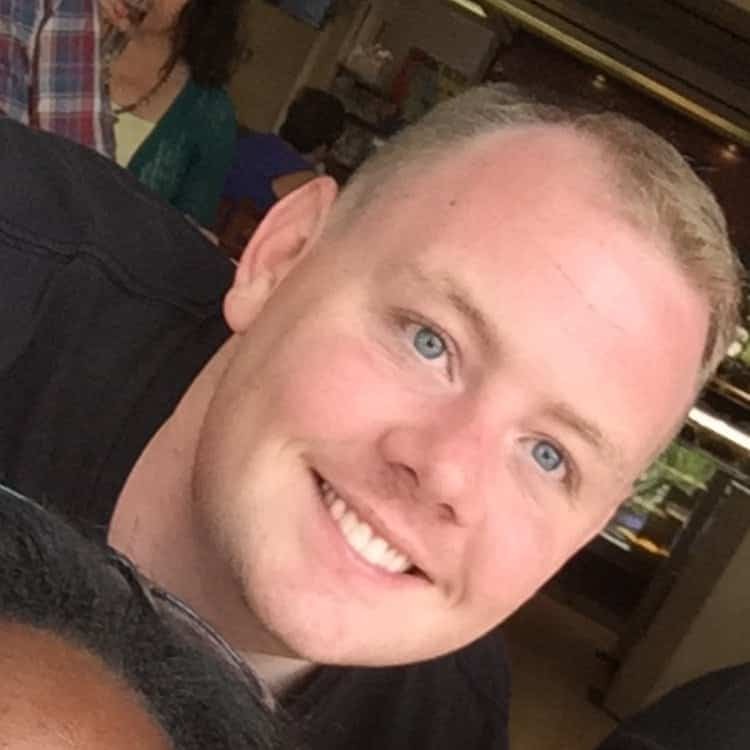 By downloading the mobile order and pay app, a customer establishes a digital relationship. From there, Starbucks can market to them directly much more easily. This holiday season, Macy’s finally broke a three-year decline in sales thanks in part to an increase in online sales. 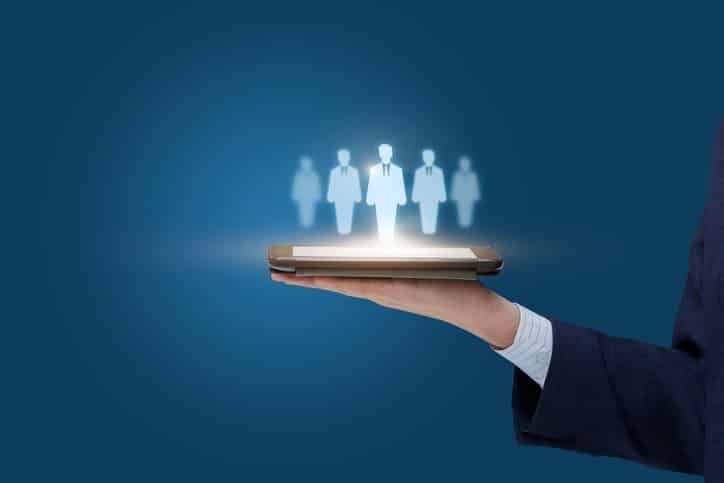 Company executives recently announced plans to double-down on the technology implementation, with the aim of maintaining that momentum. High on the list: mobile checkout and more personalization in the mobile app. 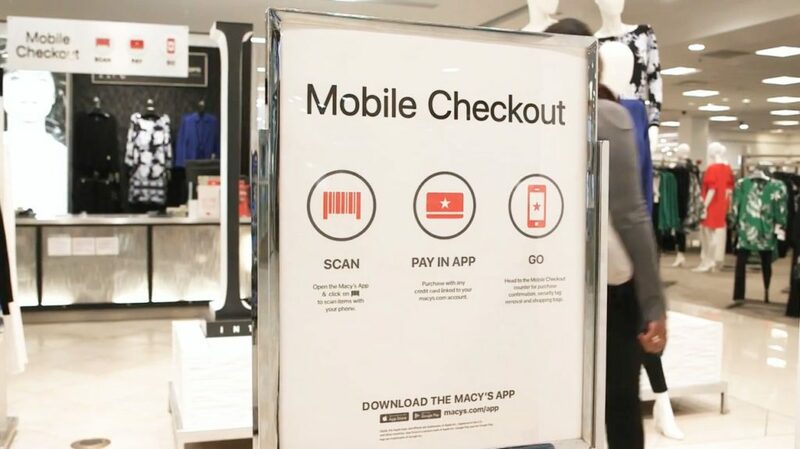 Currently being tested in several stores, Macy’s plans to offer mobile checkout at 450 locations by the end of the year. In addition to solving its check out problems through its mobile shopping app, the company also plans to redesign the app and add personalized merchandize suggestions. By the end of the year, instead of being greeted by a broad range of discounts, mobile app shoppers will be welcomed with merchandise suggestions based in part on past shopping and spending patterns. Extending this personalization to online shoppers shows that Macy’s recognizes mobile’s expanding role as a shopping and buying channel. “[Smartphones are] really our front window now,” Jill Ramsey, Macy’s chief digital revenue officer, told Fortune. As pure-play ecommerce brands move into the physical world and brick-and-mortar brands find growth online, omnichannel is clearly becoming the winning strategy for retailers. More than half of retailers refer to themselves as multichannel, according to the 2018 State of Online Retail study from the National Retail Federation and Forrester. With faster, more convenient delivery a consumer priority, 43% of traditional store-based retailers plan to open more physical locations. At the same time, only 16% plan to reduce their physical footprint. Proving that ecommerce is effective across the board, 70% said that digital conversion rates increased. What’s more, 57% experienced an increase in the dollar amount of those transactions. In the shift to omnichannel, retailers are increasingly leveraging their physical locations to support their online expansion. For 21% of traditional retailers, offering the ability to pick up online purchases in-store is a priority. Another 15% say that ship-from-store is a priority for fulfilling online orders. “This report shows more than ever that retail is retail regardless of where a sale is made or how the product is delivered,” says Mark Mathews, the NRF’s vice president for research development and industry analysis.